COPENHAGEN, Denmark – The bike sector in Denmark saw big ups and downs this year. 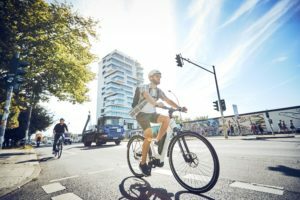 For some days last June Copenhagen was the centre of the bicycle scene as decision-makers, experts, consultants and representatives of both the industry and NGOs gathered for the first global edition of the Velo-city conference. 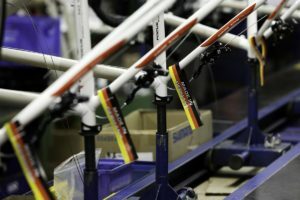 On the other hand the production facility of Denmarks icon brand Kildemoes Cykelfabrik A/S was closed by its owner Cycleurope as part of a major production reorganisation. COPENHAGEN, Denmark – The bike sector in Denmark saw big ups and downs this year. 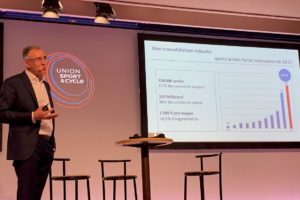 For some days last June Copenhagen was the centre of the bicycle scene as decision-makers, experts, consultants and representatives of both the industry and NGOs gathered for the first global edition of the Velo-city conference. On the other hand the production facility of Denmark’s icon brand Kildemoes Cykelfabrik A/S was closed by its owner Cycleurope as part of a major production reorganisation. *According to the Danske Cykelhandlere organization, the import figures from the Danish Statistical Bureau are incorrect. The Danske Cykelhandlere has corrected these figures and are stated above in bold. Kildemoes is one of the most popular and well-known bike brands in Denmark. Closing the factory marks the end of an era.The company began in 1942 when Borge Kildemoes began producing bicycles in a workshop in Odense. It was the country’s last and only big bike maker. It is known for high quality and the brand will continue to be sold and marketed in Denmark even with the factory being closed. The Danish production has been moved to Cycleurope’s factories in Romilly, France, and Varberg, Sweden. Local production in Denmark has been declining since 2006. In that year the output was still over 143,000 units. About 83,000 bicycles came off the assembly line in 2008. This figure has fallen back to just over 65,000 bicycles in 2009. Closing down the Kildemoes factory this year will push down this number even further. 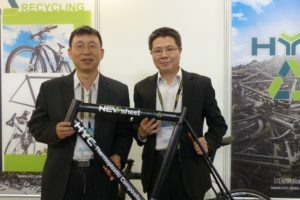 In connection with tumbling production, the export of bicycles has been marginalized. Related to 2008 the export of bicycles in 2009 was reduced by one third, to less than 20,000 units. This is not new but fully in line with the trend of the past decade. Since 2005 the Danish bicycle exporting business has plunged by more than 80%. Five years ago the export still accounted for 16.5% of the business (production plus import). Today the export share of the Danish bicycle industry shrunk to only 3.6%. Contrary to the dropping local production, bike sales in Denmark have been relatively stable in the past years, with a peak in 2007 of 554,300 units. In 2009 the number of bike sold went down to 520,489 units. Related to 2008 the market showed a small decline of 4.2%. The IBDs managed to maintain their market share at 63% in 2009, just as in 2008. The biggest gain for the IBDs came with the rapidly growing average price. For the second consecutive year the Danish bike market showed a major increase in turn over due to the rising average price. In 2009 the average price at the IBDs was € 600, an increase of 18.4% related to 2008, resulting in a total turn-over of € 197 million. 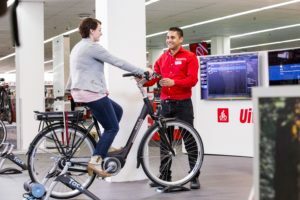 This price hike was not the result of a booming e-Bike market as in other European countries. This category was limited to just over 10,000 units in 2009 (see also box article ‘E-Bike Market Picking Up in 2010’). For 2010 the Danish dealer association Danske Cykelhandlere expects a substantial price increase of more than 10% to € 665 while the overall market will be reduced to an estimated 500,000 units. The Danish people, who are well-known for quality minded-focused buying behaviour as far as bicycles are concerned, are apparently not prepared to cut their spending on bicycles. In the past the Danish bicycle market did not show big fluctuations among the different categories. For several years the shares of the categories like the classic Dutch bike, city bikes (internal gear hub), MTB’s, racing bikes and trekking bikes has been very stable (see table). The only category that might stir up this subdivision in the years ahead could be the e-Bike. Although the e-Bike market is still relatively small in Denmark sales are picking up quickly. A few years ago electric bicycles were still rare in Copenhagen’s streets. In 2007 the market contained of just 2,772 units, or 0.5% of the total market. But also the Danish people got acquainted with this new means of cycling and in 2009 the market grew substantially to 10,409 units, an increase of 275%. For 2010 this bike category is expected to rise to at least 17,500 units or 3.5% of the total Danish bicycle market. Just as with last year the data for this 2009 and 2010 report on the Danish bike business comes from Erik Oddershede, director of the Danish association for bike dealers ‘Danske Cykelhandlere’. The ‘official’ bike sales figure from the Danish Statistical Bureau is much higher than the one from Danske Cykelhandlere and Erik Oddershede. As indicated in the table ‘The Bike Market in Denmark’ Erik Oddershede claims the import and domestic consumption figures from the Danish Statistical Bureau are incorrect. Looking at the official statistic it looks as if the Danish Statistical Bureau has adjusted it figures for 2009 as domestic consumption in 2009 was 21% less compared with 2008. It is very likely that this huge difference can only be explained by a correction of the official statistics.